Runners can choose to register for the 3K, 5K, or 10K tracks. 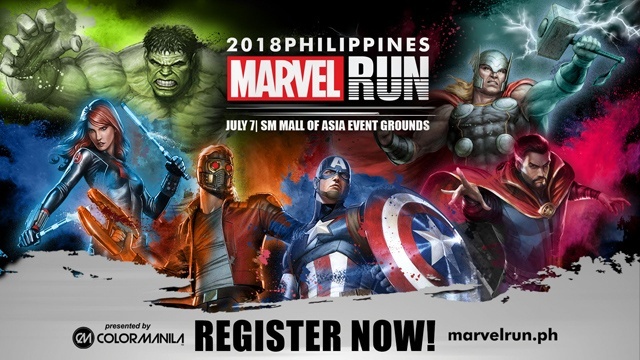 You can even select your favorite Marvel hero for the design of your dri-fit shirt: blue-colored Captain America, green-colored Incredible Hulk, and the off-white Thor. There's also the all-black race shirt in case you can't decide!